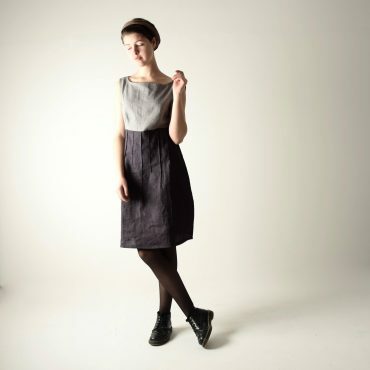 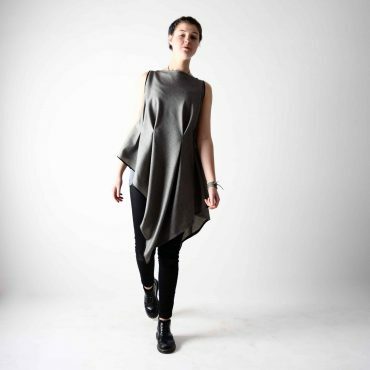 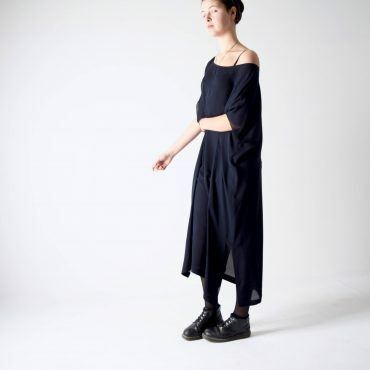 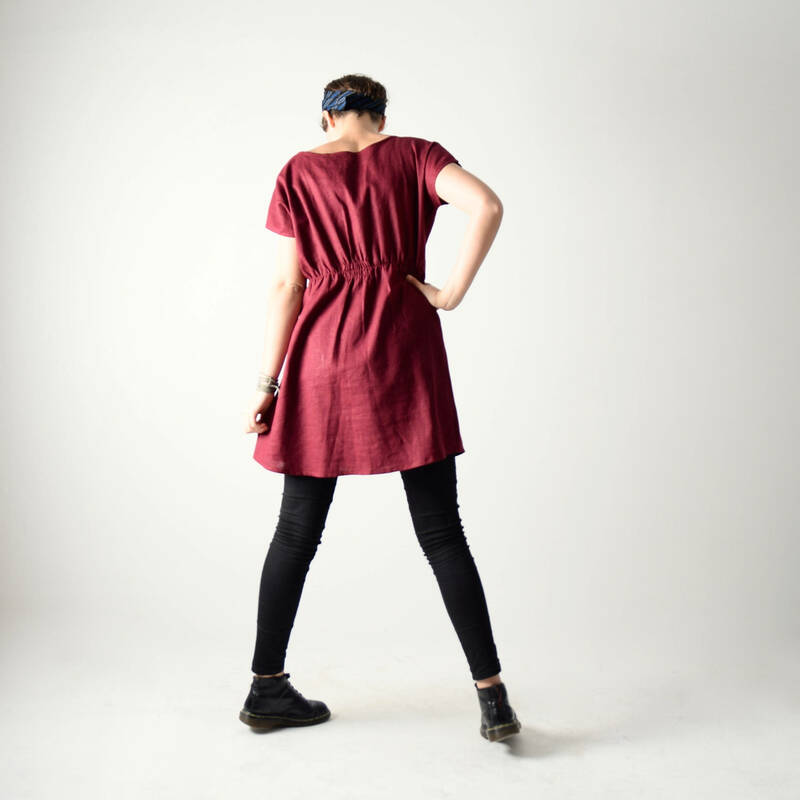 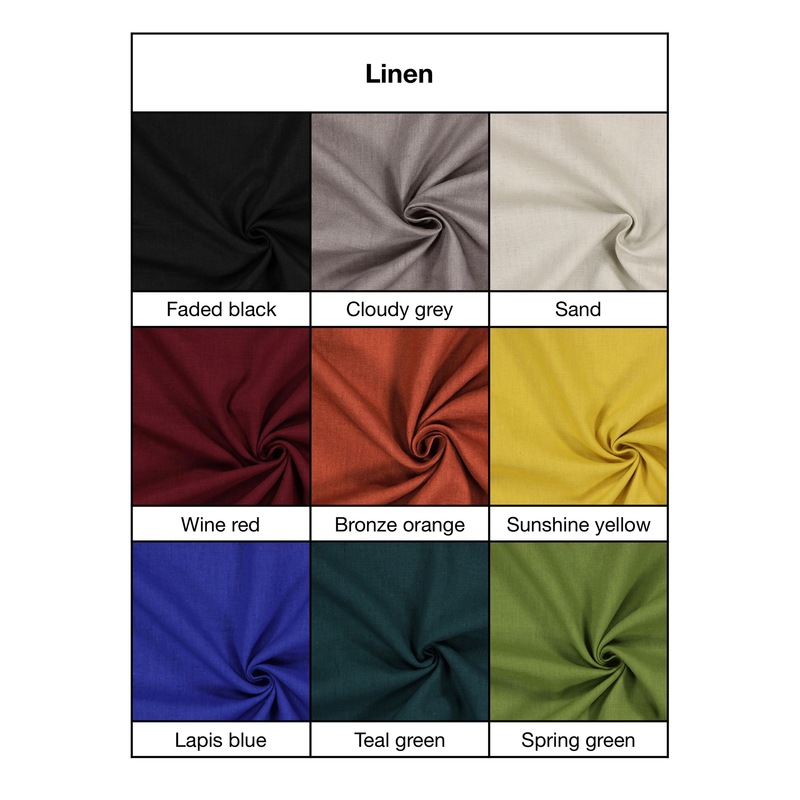 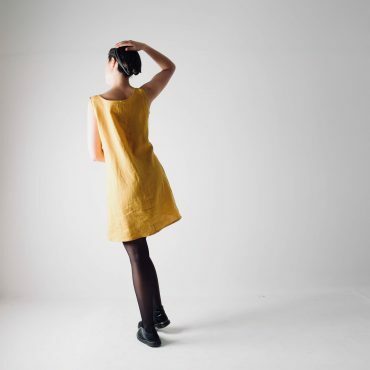 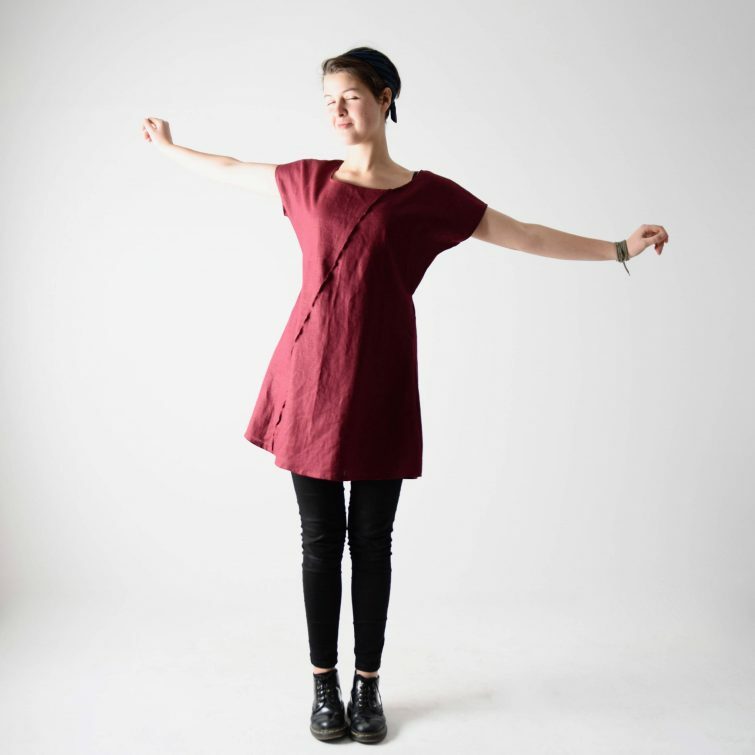 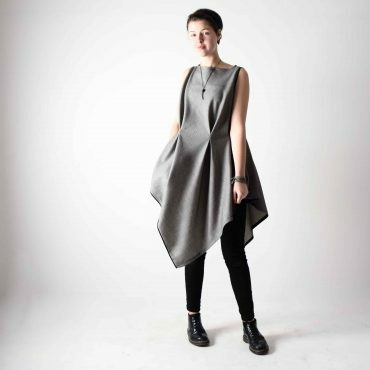 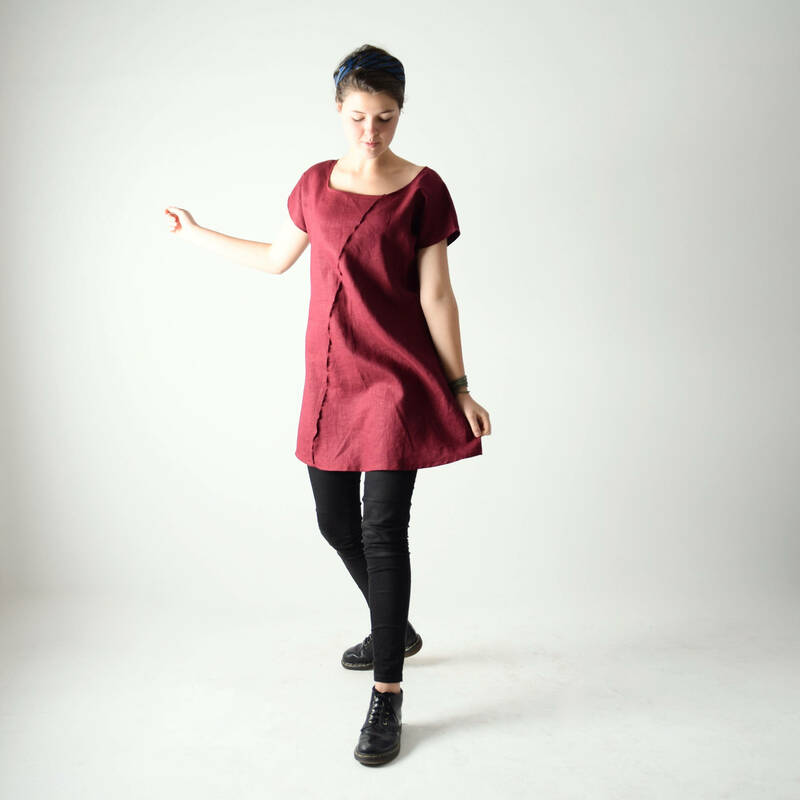 This light short sleeved dress is made with a beautiful linen fabric, available in 9 beautiful colors. 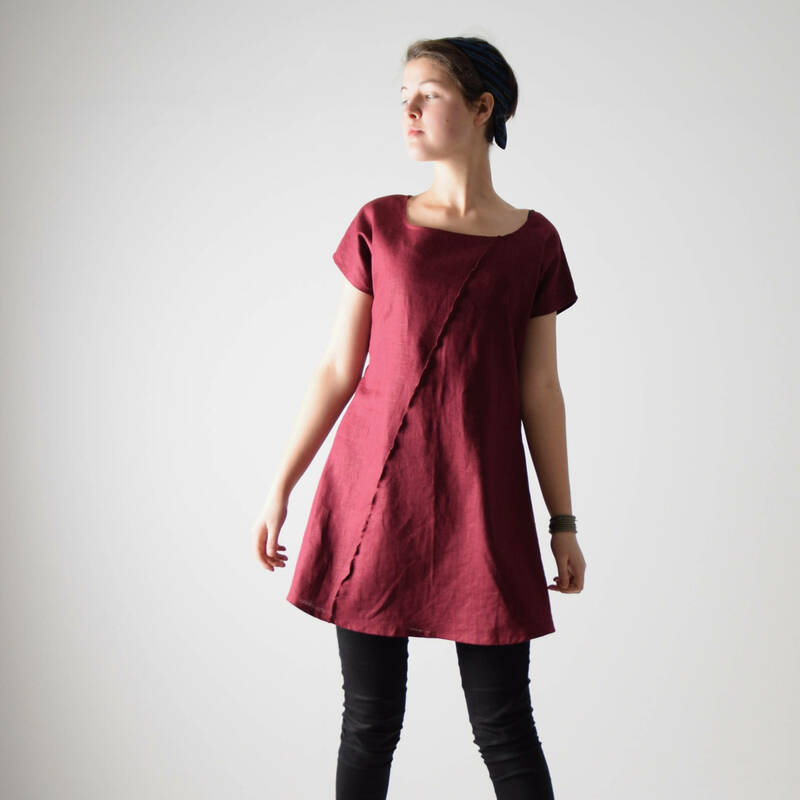 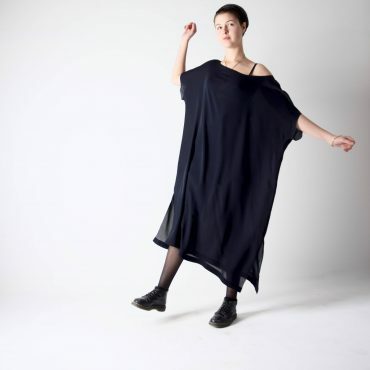 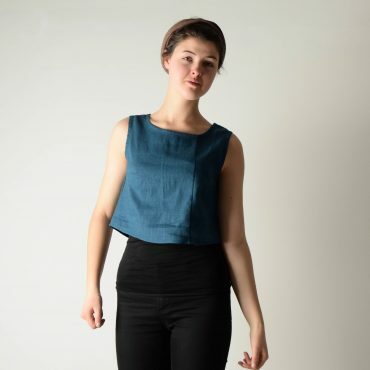 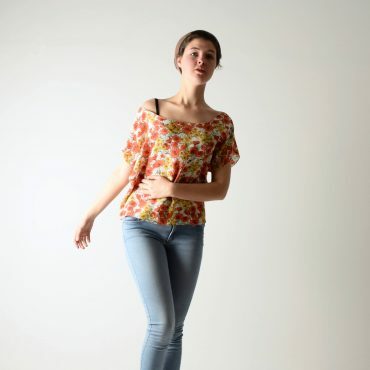 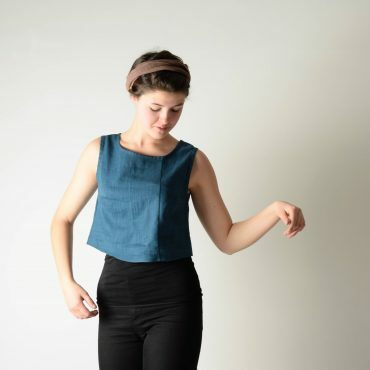 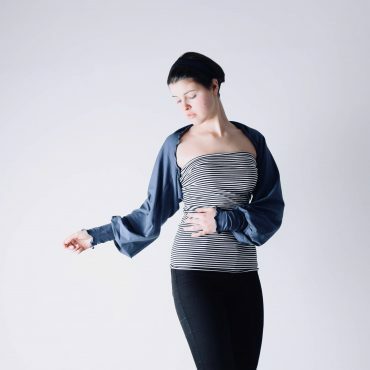 Cut with short Dolman sleeves, it is gathered with an elastic at the center back of the waist, and it is decorated in front with a single diagonal fold. 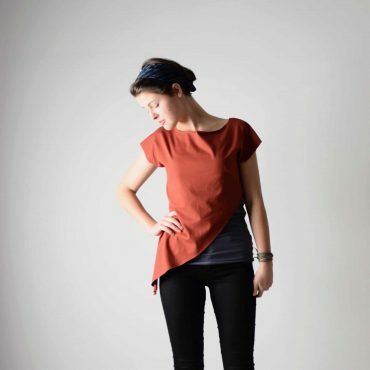 It looks great loose over leggings or skinny jeans, as well as belted (You can browse some belt options in our accessories section), and can easily transition in different weather, depending on how you style it. 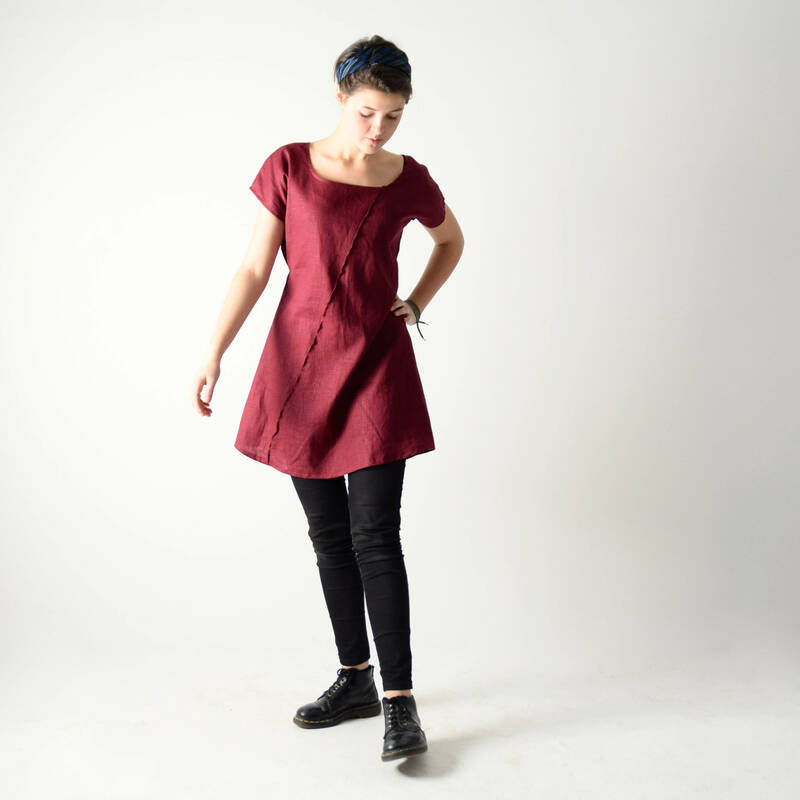 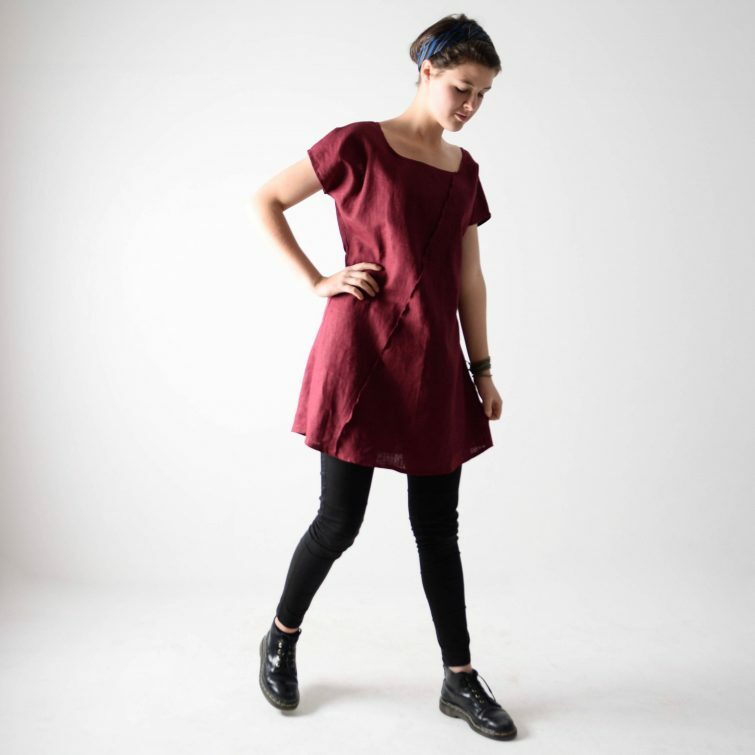 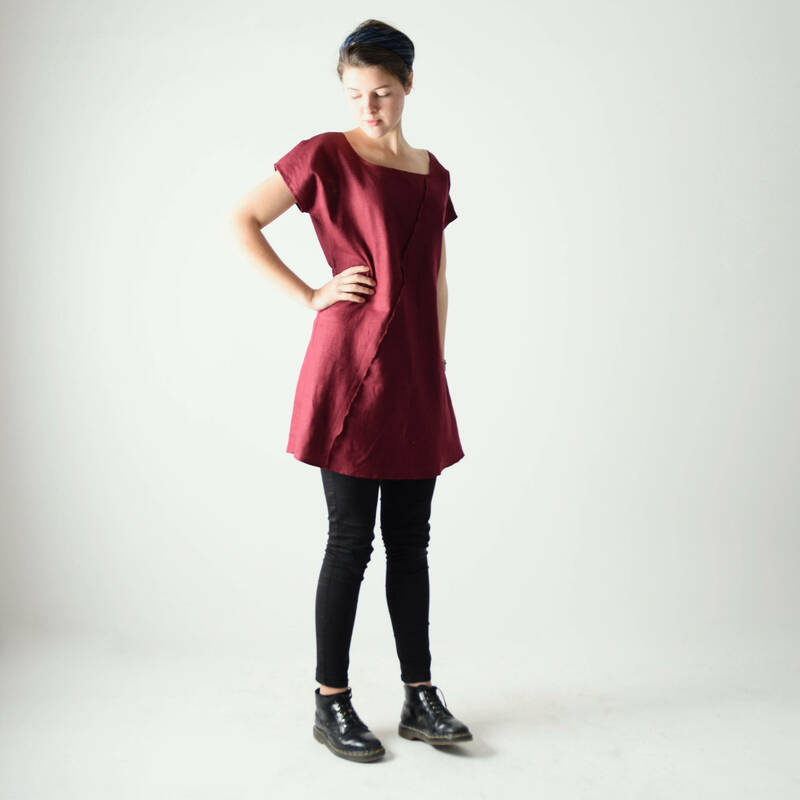 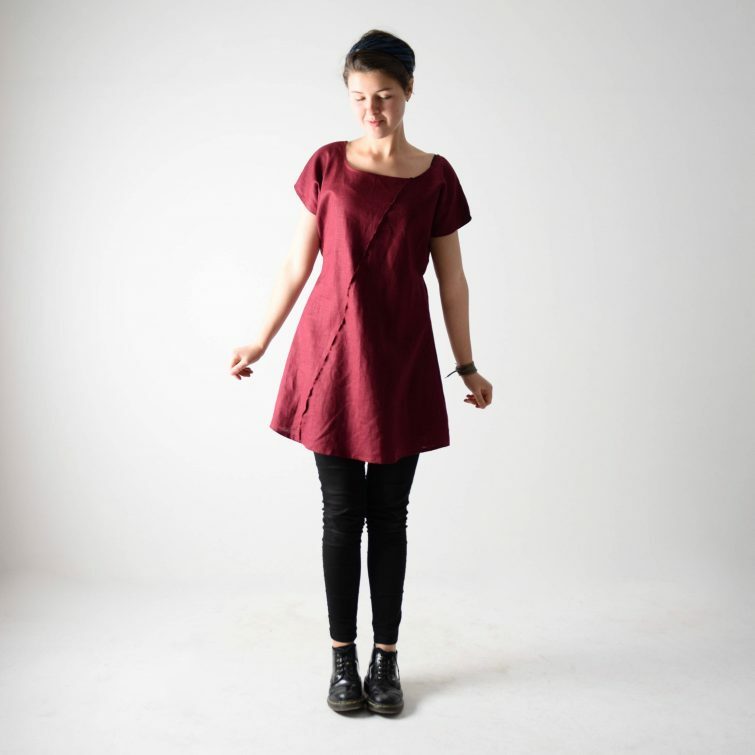 Pictured in Wine Red in a size S, the dress measures 34″ from shoulder to hemline.